Ensuring compliance with HIPAA, FedRAMP, PCI and other such standards can be a full-time job. The Allgress Marketplace Regulatory Product Mapping Tool (RPM) Product Explorer offers AWS customers a trustworthy way to easily identify solutions that will help them reach specific regulatory security requirements. CloudCheckr is featured within the Allgress RPM Tool as a compliance partner for public cloud users in highly regulated industries. 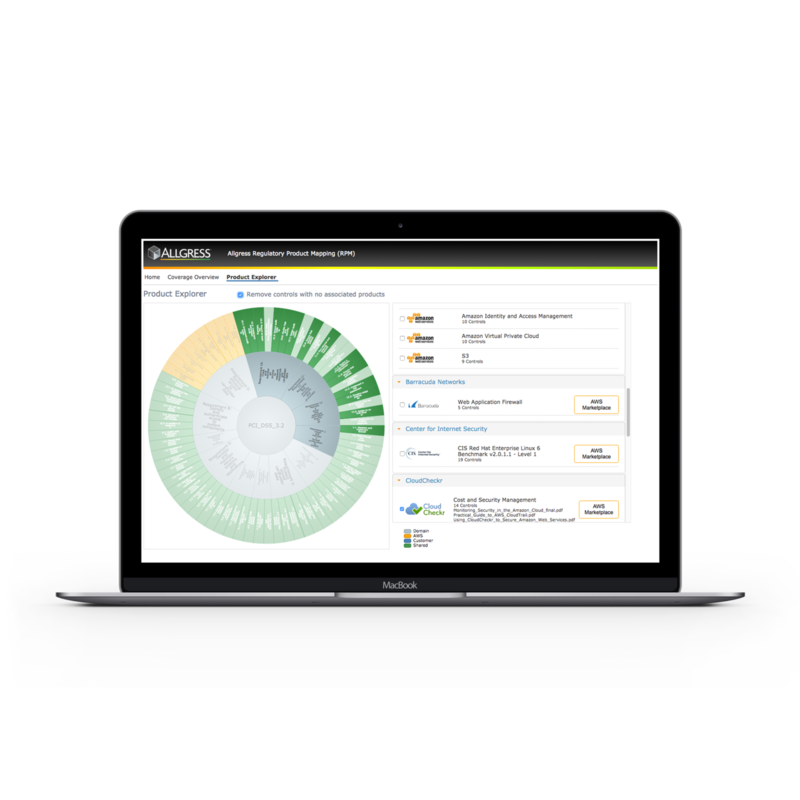 The Allgress tool identifies key compliance requirements and maps them, one-to-one, to cloud management providers that support the necessary compliance standards. CloudCheckr users can access Allgress from the CloudCheckr dashboard, so they can easily check and verify the compliance and security of their cloud infrastructure in one central place.